Oooooh. How do you pick your colors? Do you have a system or do your yarns simply "speak" to you? 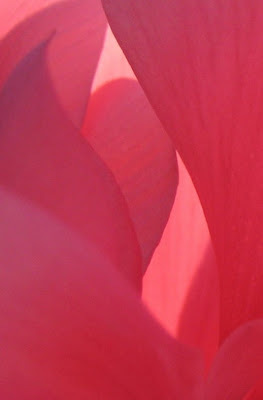 I think it's really nice how you find small places of color, texture - It reminds me to look a little closer. It's still rather gray here, but if I look very close . . .
Oh, please wrap that lovely yarn artfully around your neck to wear to the Gala! Just imagine the trend you would start and we would surely see lovely skeins worn to the Oscars instead of the obligatory jewels! Gorgeous pink by the way! And, AI, bye bye Justin or Syesha...or Brooke. She was okayish. Hello Davids! Those who live in yarn filled 750 sq. ft. houses cannot throw stones. One never needs an excuse to buy yarn. 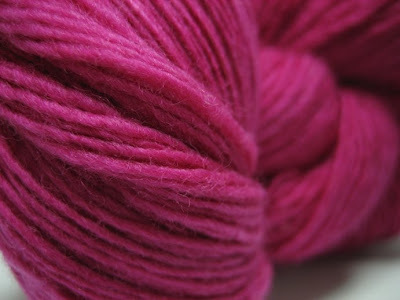 Especially Malabrigo, and PINK even!